We have looked at your Linchpin intranet solution. It looks nice, but our company is actually already one step ahead. We just have decided against using Office 365 and Google G Suite. My co-workers and I wonder if we would really use your intranet based on Confluence. From your point of view, what are the reasons and advantages that could lead us to choosing Confluence? 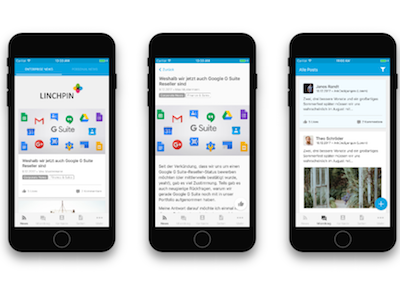 Switching paradigms: What’s the difference between Google Docs and Confluence with Linchpin? In the following paragraphs, I hope to compare and contrast Microsoft Word, Google Docs and similar in-the-box word processing software to pages created and stored in Confluence and Linchpin intranets. To many office workers over the age of 30, this may come as a bit of a surprise. Some of your co-workers might reject this idea at first, but it’s the direction things are moving in. On the other hand, my niece is 11 years old and she shrugs her shoulders when I say, “documents are long gone” - this doesn't bother her. As I explain further, things should become clearer to you about why documents are at their end-of-life, and how we will share information in the future. The use of Microsoft Word documents or, in some modern businesses their equivalent, Google Docs, are examples of "fire and forget" word processing. Once created, such documents are edited two or three times until they are good enough to publish. Then it is printed out, sent by email, exported to PDF, etc. After that, such documents are almost always forgotten. Have you ever heard someone say, "How can we retain that knowledge?" Or "We’re always reinventing the wheel here. Does this have to be the case?" 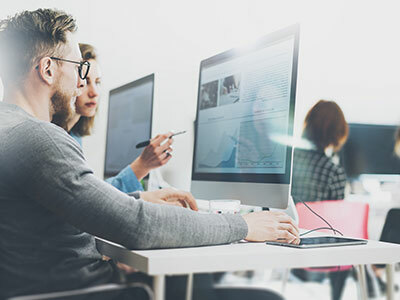 Whether a team is using Microsoft Word, Office 365, or Google Docs, or they’re coordinating using either a single storage location in the cloud or on a wireless hard drive, the answer is always the same: the document is then forgotten and lost. Adding new document management systems and a Google Drive search will simply not change that. The ability to locate, preview, and reuse content within these systems is lacking. Creating a new document (the "fire" part of the equation) is often more appealing than checking to see if there is a “forgotten” document somewhere with some helpful sentences that you can use. Can you think of a time recently where you had such an experience? Unfortunately, Google and Microsoft provide additional reasons to switch - the process of reusing documents is almost impossible: "By default, in the best case scenario, employees can only find and view other documents." The document owner must intervene manually in order to let someone else edit a document. It’s not only complicated to collaborate on a document, it’s technically impossible! As a result there are umpteen copies and redundancies made throughout several rounds of editing. When a user searches, they have to sort through countless search results and can still sometimes come up empty. Have you ever experienced this? No one rummages in Google Drive, you only look for your own things. Let's face it: You only look for things in Google Docs that are your either own documents or documents you know that you’ve worked on. You’ve never had the inspiration to browse Google Drive to see if there are any hidden gems, right? While Microsoft Word's current strategy is a bit unclear, Google appears to have a strong sense of collaboration woven into their software. While you’re in the process of creating ("fire"), Google can do more than simply support concurrent document collaboration. Their simultaneous support for mobile devices and desktops is currently unmatched. Google Docs’ offline functionalities including later synchronization are second to none. Would you like to create a document in 75 minutes or by tomorrow and have three other people check over it? If so, Google Docs is your best friend and I recommend it. With tables and presentations Microsoft and Google are also unbeatable. Documentation and knowledge coexist in Confluence. However, when we talk about combining both "documentation" and "knowledge", we come across an area where these two top dogs are actually quite weak. Microsoft has SharePoint, but that isn’t a very convincing intranet solution, whereas Google Docs is trying with Team Sites, but this pales in comparison to an enterprise wiki like Atlassian Confluence. Confluence's strengths lie in its ability to manage many very small changes over a period of days, weeks or even months or years. Pages that have been processed 450 times by 40 different employees are commonplace in Confluence. On the flip side, you won’t find more than a handful of such oft-updated Google or Microsoft documents! It has crystal clear notifications for changes to documents that I'm collaborating on. It’s an easy way to make small changes to documents. Pages can include a variety of other files and formats (images, Word, Excel, PowerPoint, online content, videos, ...) or even entire pages from other areas of the system. Confluence’s ability to implement this content combination system is unmatched, even by Microsoft and Google. Richly formatted tables can contain images, links, and even other tables! This is especially helpful when writing up comparisons and reviews. Pages are subject to workflows and dependencies that are unimaginable in Google! Confluence can handle even the most complex quality management workflows. These are just a few examples. 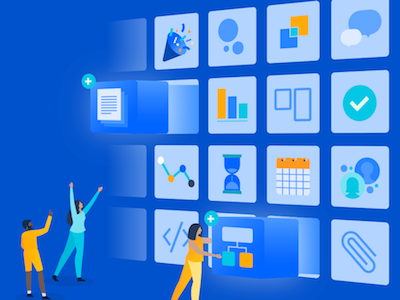 Plus for Confluence, there are over 800 possible apps (extensions) in the Atlassian Marketplace, hundreds of which are of the highest quality. The apps in the equivalent Google and Microsoft extension stores often earn very low ratings in comparison. The Confluence-based intranet Linchpin stores documents and lets you access knowledge in the most useful way. Instead of documents, there are networks of pages. Think of it as being similar to the internet (and we all know that was a system that caught on!) With Linchpin, nobody ‘owns’ the documents anymore; they’re not tucked away in some folder somewhere, collecting digital dust. Instead, documents (pages) are accessible (and editable) by everyone. Those who create a document or an administrator can set its rights, restrictions, and workflows (e.g. QMS). It's no wonder that Wikipedia is still one of the most successful and most visited websites in the world today. Likewise, in a wiki-based intranet like Linchpin, people are free to browse and learn about new content. With Linchpin you can quickly get answers from and spread knowledge to the right people. We’ve all been there before: you want to brainstorm a new idea and you need to gather feedback from your co-workers. Or maybe you simply want to send a message to everyone in your department. Perhaps you want to sell your old bike? Maybe there was a power outage or a server is being fixed. Every company, every department, every director, every department manager, and every group leader has some sort of important news or a request for a specific group of people. But how do we deliver this news quickly and clearly only to those who need to see it? Only a system like Linchpin, one that understands personalization and easily supports the content creator, can sort out what is relevant for each independent user. Linchpin has all of the the advantages of being a wiki, unlike Google and Microsoft documents and shared drives - it is a great search and discovery tool. Additionally, Linchpin Mobile and Linchpin Touch increase accessibility for you when you’re on the go or using a tablet, or for your co-workers that don’t have their own workstation. This flexibility allows you to access your documents and knowledge whenever and wherever you might be. But we haven't even scratched the surface of Linchpin strengths, especially how its personalization options make your work day easier, more focused, more enjoyable, and more efficient! We would love to answer any questions you may have. Or perhaps you'd like to try Linchpin for yourself for free (for 14 days). We have worked with many companies, large and small, to integrate Linchpin into their infrastructure and we are one of the leading Atlassian Partners in the world. Let us know how we can help you!